Expressing deep concern over the water crisis in Latur and surrounding areas in Maharashtra, Union Road Transport and Highways Minister Nitin Gadkari has mooted the idea of using rubber dams to solve the problem, while asserting that technology should be used to provide relief to people. 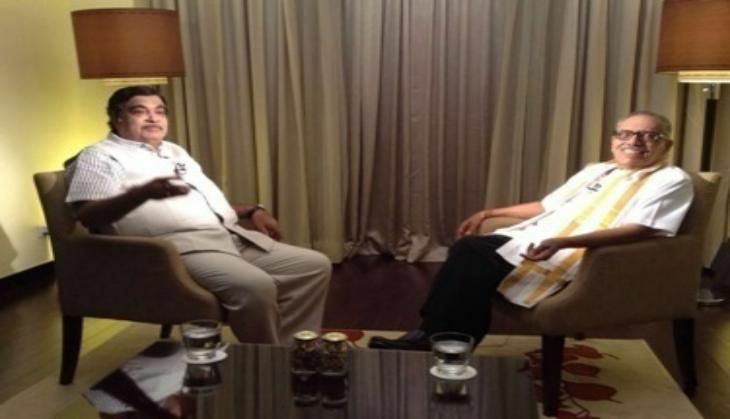 In an exclusive interview to ETV News head Jagdeesh Chandra, Gadkari said converting bridges to dams in water scarcity prone areas would go a long way in solving problems. "If we build four rubber dams, then lot of water crisis can be resolved. If we can convert the bridges as dams than also the water problem in those localities can be sorted out. We can turn the existing bridges to dams," he said in ETV's popular 'The J C Show'. "We have to solve the problems by using the technologies. There is no use of talking on problems only. We have to solve the problems," he added. He further said that the Central Government is committed to speed-up pending irrigation projects. "Out of 89 AIBP projects, 28 are in Maharashtra. Those are uncompleed. If Indian Government make a schedule of five years and assure to provide four five thousand crore every year, then the projects can be completed. Many other projects are pending and uncompleted. If all these can be completed then two crore hectare lands will be irrigated and agriculture production will increase two and half fold," he said. Latur has been facing one of its worst droughts this year, with the problem compounding due to consecutive drought years. In the wake of drought situation, the Maharashtra Government has decided to ban digging of borewells below 200 feet to check further depletion of ground water. The decision came close on the heels of cut in water supply to industrial units including breweries in the severely affected Aurangabad district.